Google is known for being the number one search engine, but few people recognise the other benefits Google can offer users, especially business users. 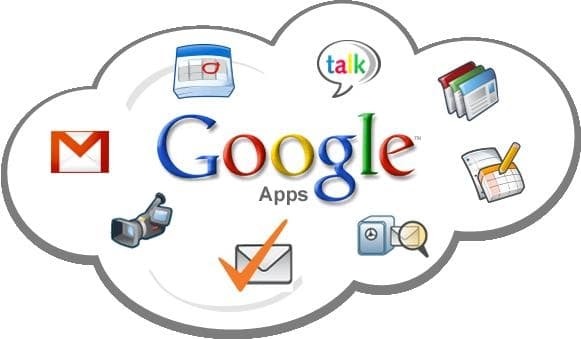 They offer a Google apps package specifically for business owners that include many comprehensive programmes for a very cheap monthly or yearly price. While not a full list of all the apps, some of the best include Google Sites, Google Cloud Connect, Business Gmail and Google Docs. Google Sites is an easy-to-use website builder that can be used as a storefront, or it can serve as a back-end website to organize employees. The system is template based, so users do not need to know any HTML or CSS, they just have to click an element and it will be added to the website. Spreadsheets and other business documents can be easily added, which is a plus. Google Cloud Connect works with the Microsoft Cloud system, allowing users to simultaneously edit documents. It also allows offline changes, and there is a revision history tool so users will know who touched the document last, if there are any problems with an edit. One of the best points is that there are no complex deployment procedures, it can be setup without any extra work. Gmail is common known as a basic email program, but Gmail for business has quite a few extras. Users receive 25GB of data storage, which should be enough for even large businesses. It can also be synched with iPhone, BlackBerry and Android phones, making mobile business work very easy and convenient. There is also a powerful search feature, so users can quickly find emails, and the spam filter is stronger than with normal email accounts. With Google Docs users get a range of office programs, but at a very inexpensive price. This includes a spreadsheet, text editor, drawing program and a program for presentations. Since Google Docs is a Web application, files can be easily shared and accessed by employees or associates. This also makes it easier to access the files if users frequently switch between computers. The pricing for business Google apps is rather inexpensive, especially when compared to similar business app packages. If paying monthly, the fee is only €5, and the yearly fee is €40, saving €10 a year. There can be an unlimited number of users, and there are many benefits to getting a paid account. Google will be available for phone and email support, they have powerful SSL protection, there are APIs to customize programs and users get higher storage capacities than if using Google apps for free. These apps will help organize a business’s online presence, will make it easier for workers to do their work and projects can be easily coordinated.